So if you are in Israel the next month, please, welcome. I’ll be in the gallery tomorrow for the opening show! 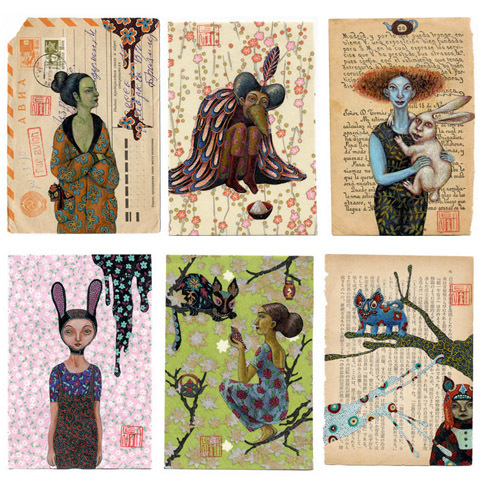 I would like as well to show you a little part of my inspirations by japanese culture. 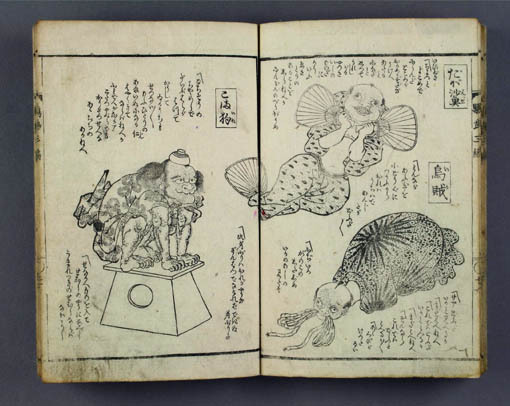 Utagawa Toyokuni, a great master of woodblock prints, the most amazing of Kabuki actors. 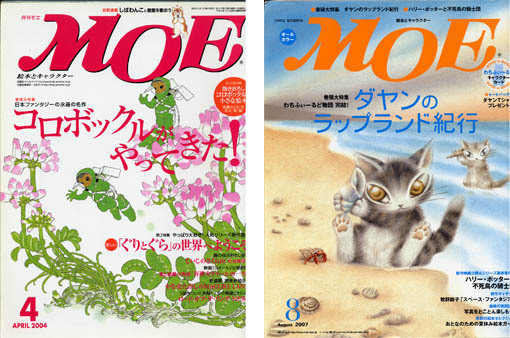 MOE, a magazine of contemporary art and children book’s illustration. Actually, all my art way started with a help of one of MOE’s editors and now a friend of mine, Morishita Noriko.